62-year-old Lodha is the richest real estate entrepreneur in the country with total wealth of Rs 27,150 crore. Mumbai: Despite the crisis in realty space in the country, which is home to the largest number of homeless in the world, networth of top 100 realtors has jumped 27 per cent to Rs 2.37 trillion in 2018, as per a report that's led by Lodha group founder Mangal Prabhat Lodha. 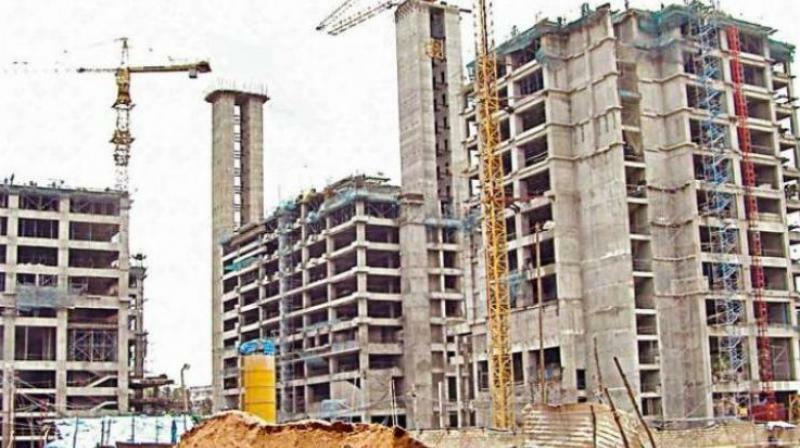 Significantly, the country's largest developer DLF group and its founder KP Singh, who was the richest real estate entrepreneur in 2017, does not find a place among the top 10 developers in the country this year. According to the Hurun rich-list 2018, the 62-year-old Lodha, who is also a senior BJP leader, is the richest real estate entrepreneur in the country with total wealth of Rs 27,150 crore. Lodha is followed by Jitendra Virwani of the Bengaluru-based Embassy group with total wealth of Rs 23,160 crore in 2018. The city-based Lodha was at the second position last year with a wealth of Rs 18,610 crore, while DLF's Kushal Pal Singh, who had topped the list last year with a wealth of Rs 23,460 crore, does not figure in the year's top 10 list. However, his son Rajiv Singh comes third with wealth of Rs 17,690 crore this year. It can be noted that the senior Singh has moved out of daily operations of DLF and has transferred his shares to his son Rajiv and daughter Piya. "Total wealth of the top 100 real estate developers stood at Rs 2,36,610 crore or USD 32.7 billion in 2018, up 27 per cent from Rs 1,86,700 crore or USD 28.6 billion in 2017," says the Hurun-Grohe India (German sanitary ware maker) rich-list 2018. The list relates to those realtors born and brought up in the county, and the valuation of these individuals is as of end-September 2018 when the rupee averaged at 72.46 to the dollar, according to the publishers. Almost 59 per cent of the names featured in the report are first-generation entrepreneurs, says the report. From a city-wise perspective, Mumbai is the most preferred city of residence for the real estate tycoons with the city being home to 35 of them, followed by Delhi (22) and Bengaluru (21) and Pune which is home to five of the richest 100 realtors. At the fourth slot is Chandru Raheja of the city-based K Raheja group with a networth of Rs 14,420 crore, followed by Vikas Oberoi (Rs 10,980 crore). The Hiranandani brothers, Niranjan of Hiranandani Group and Surendra of House of Hiranandani, come at the sixth slot with a wealth of Rs 7,880 crore each, and the billionaire brothers Manoj and Raj Menda of Bengaluru are at the ninth position with a wealth of Rs 5,900 crore each. Ajay Piramal and family are the seventh slot with a combined wealth of Rs 6,380 crore. While the average age of the participants is 59 years, 24 year old Kunal Menda of RMZ Group of Bengaluru is the youngest among of them and Prithvi Raj Singh Oberoi of East India Hotels is the eldest at 89. Only four names under-40 are featured in the list indicating that the experienced and long standing names build wealth in the long-run from this sector. The list also features nine women entrepreneurs, with Renuka Talwar of DLF ranked at 19 topping the list. Among the 10 debutants, Rameshwar Rao Jupally of My Home Constructions leads the list at 14. Anas Rahman Junaid, managing director and chief researcher at Hurun Report India said, "realty sector has always been among the key wealth creators in the country, though it also accounts for the largest number of homeless in the world. He expressed hope that value creation by the realty sector will continue given the regulatory environment (mandatory Rera registration) which in turn will bring in greater transparency in the sector.